(MENAFN - Kashmir Observer) TEHRAN:- Iran could bolster Lebanon's air defense systems to help protect the country against Israel, Hezbollah's leader said Wednesday. 'What does Lebanon want?' 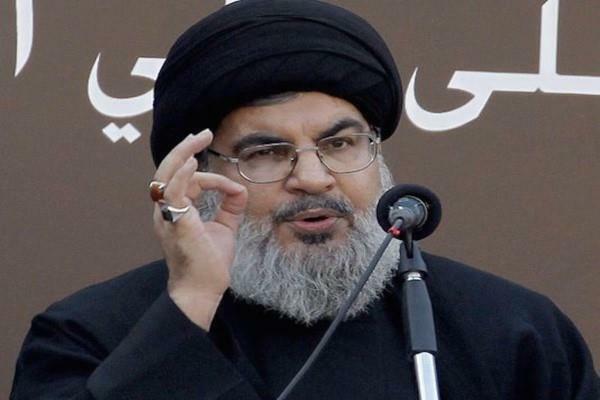 Sayyed Hasan Nasrallah posited in televised comments. 'To be more powerful. And I'll bring Iran to help do that ... and it will ask for nothing in return.' He criticized Lebanon's hypocrisy in accepting aid from Western nations, namely the U.S., while denying help from 'great friend' Iran and allowing the Lebanese to live in hunger and poverty. Iranian expertise could be harnessed to help Lebanon in areas other than defense, such as finding a fix for the electricity crisis and reducing the prices of medicine, he said. His remarks came during a ceremony to mark the 40th anniversary of the Iranian Revolution. In November, U.S. President Donald Trump's administration imposed new sanctions on Iranian oil sales and its banking sector to choke the country economically and force it to cut aid to groups such as Hezbollah. Before addressing domestic Lebanese affairs more than an hour into his speech, Nasrallah paid tribute to the late Ayatollah Ruhollah Khomeini, the founder of the Islamic Republic of Iran, and commended Iran's cultural, scientific and educational achievements. He also boasted of the representation of Iranian women enrolled in university and the efficiency of Tehran's metro system. Nasrallah denied the existence of a Saudi-Iranian conflict, saying there was instead a U.S.-Iranian war and that Saudi Arabia and other Gulf countries were 'tools' in the conflict.